Why is it the best you would ask? 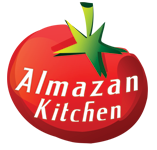 It’s the only cordon blue in the world that is made in the forest from scratch using organic homemade ingredients by your beloved channel AlmazanKitchen!And we’re happy to share it with you! We give you more than a single video, we share with you this awesome recipe! Add 2 tbsp. of homemade mayo, 1 tbsp. of brown sugar and 1 tsp. of pickle juice. Cut open free-range beef cut then beat it as thin as you can. Slice 100g of homemade cured ham as thin as you can. Slice 100g of homemade cheese. Place ham and cheese on the one side of the beef cut then fold it. Grind the pepper along with a salt, add 1 tbsp. of flour. Coat the beef in a spicy flour. Let’s make a tempura: coat the beef in egg and then with bread crumbs. Dip-fry the cordon blue until crispy golden brown crunchy crust. Finish off the dish with chopped spring onion. Serve and eat with sauce! I believe they are from Serbia. Greetings from Philippines.